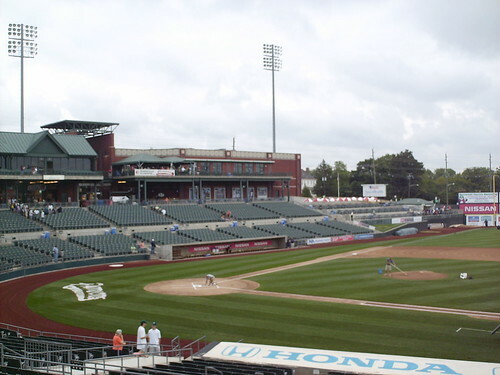 The view from behind home plate at TD Bank Park. 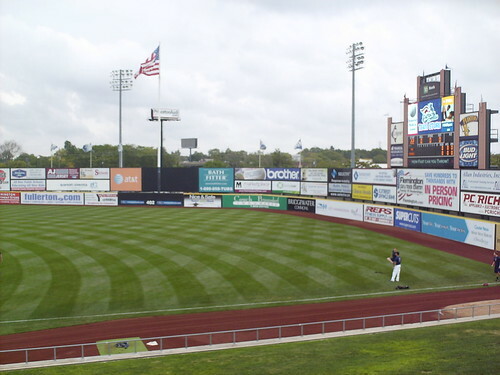 The view from down the first base line, with I-287 running behind the left field fence. 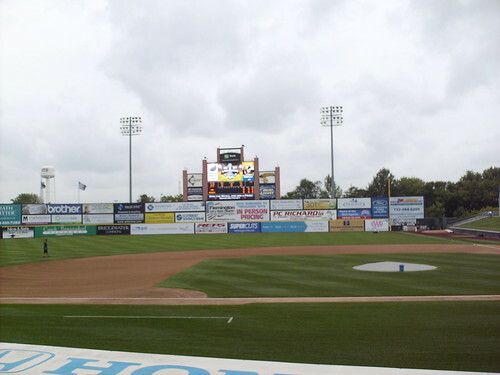 The view from down the third base line, including the scoreboard in right field. 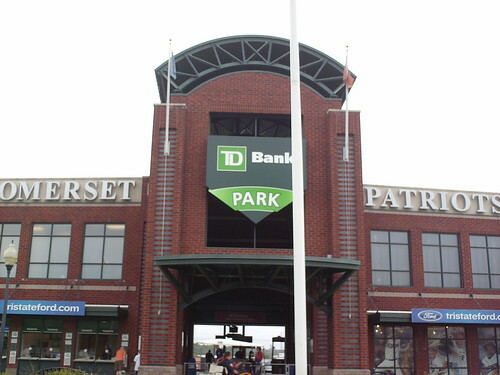 The grandstand at TD Bank Park. 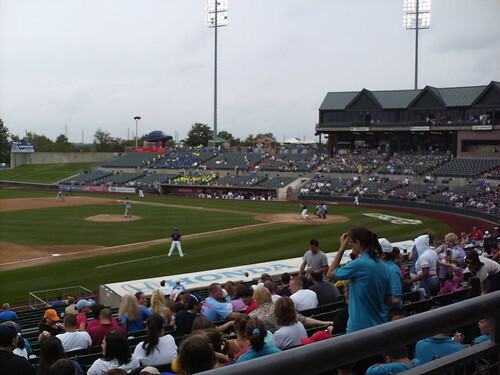 The press box is offset to allow the fans on the concourse the best view, directly behind the plate. 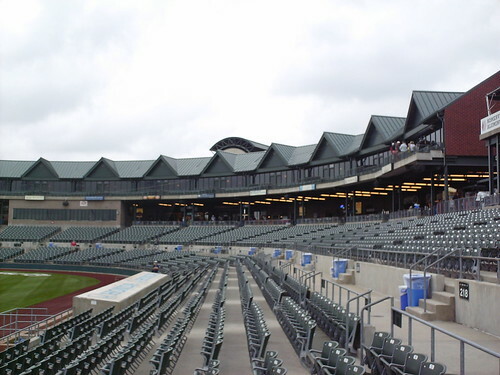 The picnic area down the third base line, and a rooftop restaurant above the concourse. 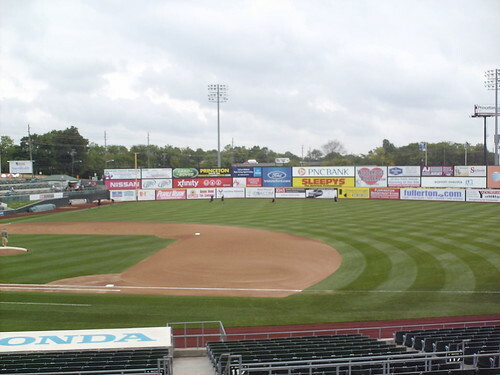 The outfield fence runs out as far as 402ft, before angling sharply back in, creating a corner in right-center. 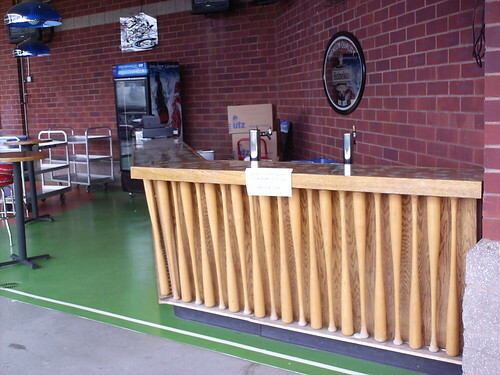 The concourse features a bar made from baseball bats, with old baseball cards embedded in the bar top. 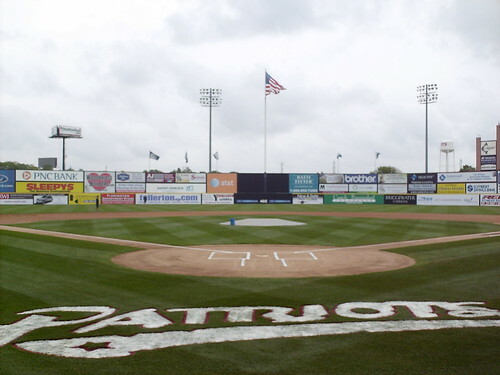 The Somerset Patriots on the field at TD Bank Ballpark.